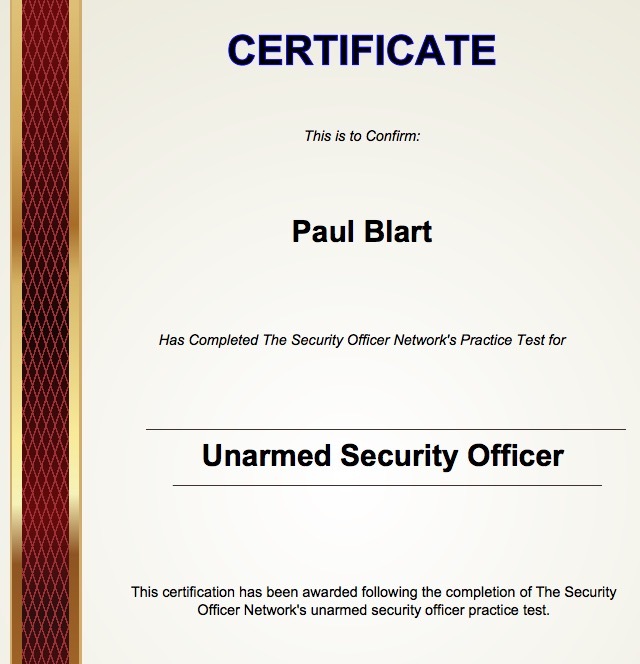 Welcome to the web's best free practice exam for unarmed private security. 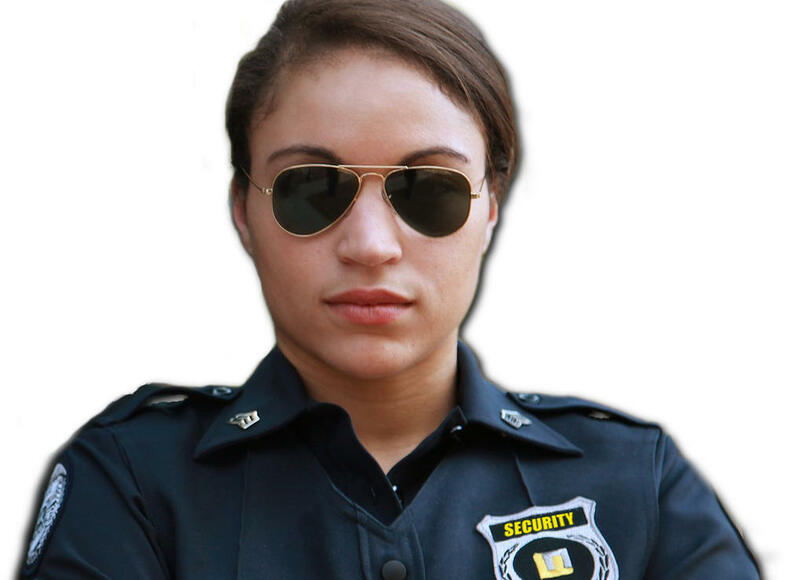 Utilized by hundreds of security officers, this is the ideal tool for helping you to prepare for your state or company issued unarmed security exam. 1. Take the test. The test contains 40 questions in five different categories. You must complete the test in 30 minutes. Upon finishing the test you will be provided with your score, a breakdown of score by category and a comparison of your performance with the scores of the other test takers. 2. Review your answers. You can view a customized study guide which lists both your incorrect and correct answers and explains the logic behind the question. You can then retake the test. Some of the questions will change but the concepts will stay the same. 3. Get your certificate. Those who score at least an 75% will pass the test and can receive a printable certificate of passage to show their mastery of the subject matter. What steps should the security guard take before he goes to court as a witness? A. Call the attorney for the defense and ask for an advance copy of all her questions. B. Review incident reports and all subsequent documents that include the officer's previous statements about the incident. C. Request multiple delays in the court hearings until the defense gets tired and gives up. D. Carefully coordinate testimony with the prosecution to make sure everyone is on the same page. Enter your name as you want it to appear on your certificate of passage.